Gauvin, M.j. and J. Keating. "Cadmium". The Canadian Encyclopedia, 21 December 2015, Historica Canada. 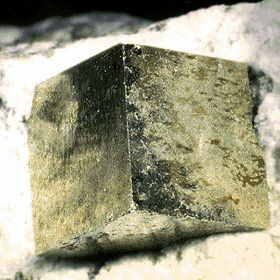 https://www.thecanadianencyclopedia.ca/en/article/cadmium. Accessed 20 April 2019. Cadmium (Cd) is a soft, ductile, silvery white metal that melts at 320.9°C and is present in the earth's crust at 0.1-0.5 parts per million. The most common cadmium MINERAL, greenockite (CdS), is generally found in zinc-bearing ores and is recovered as a by-product during processing. Approximately 10-15% of world cadmium production is from recycled materials. 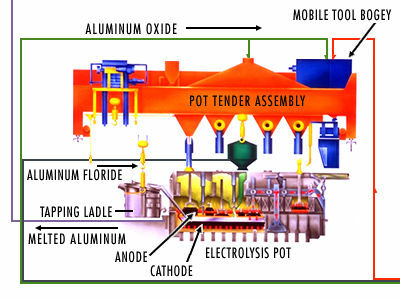 Cadmium is used principally in the production of rechargeable nickel-cadmium and silver-cadmium batteries, and as a protective coating for other metals; eg, for electroplating IRON AND STEEL products to improve appearance and protect against rusting. The second-largest use is in the manufacture of yellow and red pigments. Canada produces about 1058 t of cadmium annually, making it the world's second-largest producer, following Japan. Cadmium is produced at all 4 Canadian ZINC plants. About 90% of Canadian production is exported, mostly to the US and Japan.